The Blackhawks are back and have their sights set on bringing another championship to Chicago. With recent hockey success, Blackhawks tickets are in high demand. Led by a young and high powered offense, Chicago looks poised to contend for the Stanley Cup. Division rivals the St Louis Blues and the Minnesota Wild will look to halt to Blackhawks' aspirations. Get your Blackhawks tickets and head out to the United Centerto be a part of your team's home ice advantage. In the 2016-17 regular season, the Chicago Blackhawks shined in almost every aspect of the game. With fifty spectacular wins to their credit, including five streaks of consecutive victories as well as a franchise record of eight consecutive road wins, the Hawks accumulated 109 points to claim both the Western Conference and Central Division Championships. Although they faced some injuries along the way, the team made it to the playoffs radiating confidence which came from being a top seed. They were eliminated from the playoffs by the eighth-seeded Nashville Predators in four straight losses. Nevertheless the performance and statistics of the team and players in the regular season deserve much adulation. In this most reason season of the playoffs, the Blackhawks unfortunately did not make the cut for the playoffs. A number of large-scale changes have been made in the roster during the offseason. Hawk fans will see an entirely different bottom six which will allow for a range of different line combinations. The First Stanley Cup Win 1933-34 - The Chicago Blackhawks of the 1930s won the first Stanley Cup with a 1-0 win in Game 4 of a best-of-five series against the Detroit Red Wings. Although ice hockey did not enjoy as much popularity as it does today, the victory being the first is of great significance in the history of the franchise. There are plenty of teams in the league at present who have never won a Stanley Cup. Getting the first is sometimes the hardest and the Blackhawks have the honor of being one of the first Stanley Cup Champions. Blackhawks End 49-Year Drought -The 2009-10 Stanley Cup win remains the most memorable in Chicago Blackhawks history. It was not the greatest shot of Patrick Kane which made its way behind Philadelphia Flyers’ goalie Michael Leighton. But it certainly did the trick for the Blackhawks. The Wells Fargo Center in Philadelphia fell silent as Kane and his teammates celebrated. After almost half a century, the wait for a Stanley Cup win was finally over. The final score of the game 4-3 is etched in the memories of all Blackhawk fans. With a team as successful as Chicago Blackhawks, there are bound to be animosities and rivalries. The Hawks have dealt with plenty of them over the decades, two of which stand out. Los Angeles Kings The Blackhawks-Kings rivalry is born out of mutual success. When Chicago won the Stanley Cup in 2010, the Kings responded by winning it in 2012. The Blackhawks again brought the prestigious trophy home in 2013 and then had to see the Kings win it again in 2014. Both teams have enjoyed considerable success over the past decade. The clashes of the Hawks and the Kings in the Stanley Cup playoffs are among the highest rated playoff games in history. Detroit Red Wings The Two Original Six teams from blue-collar cities have shared an intense rivalry in the NHL over the past ninety years. Several players on both sides have lived through this rivalry. Some names which stand out are Gordie Howe, Terry Sawchuk and Steve Yzerman. It also includes players who’ve played as part of both the teams such as Bob Probert and Stu Grimson. A moment which deserves a mention is when the Blackhawks met the Wings in the second round of the Stanley Cup playoffs in their final Western Conference face-off. The wings were on the door of a series win in Game 6 when Chicago came back from being down 3-1 and claimed a phenomenal 4-3 win that extended the series. In its ninety years in the NHL, the Chicago Blackhawks have produced some of the greatest players. Below are a few of them. Keith Magnuson - Defenseman Keith Magnuson helped the Blackhawks reach the Stanley Cup Finals both in 1971 and 1973. He played a total of 589 NHL games (all with Chicago) and accumulated 139 points. Magnuson wasn’t known as much for scoring goals as for his ability to safeguard his teammates and jumping into the role as a semi-enforcer. His leadership skills on the ice led him to become captain between 1977 and 1979. Jeremy Roenick - Centerman Jeremy Roenick was one of the biggest point producers for the Blackhawks during the early 90s. His energetic and rough style of play helped him fight his way past opponents and also create opportunities for point scoring. He led the Blackhawks to the Stanley Cup Finals in 1992 and scored more than 100 points in three of his eight seasons with the Blackhawks organization. A Chicago Blackhawks ticket gets you into one of sports most historic venues. Fans can enjoy the iconic statues of Chicago greats as Bobby Hull and Stan Mikita as well as Michael Jordan and Scottie Pippen. In the United Center, you can feel the home ice advantage with acoustics of the venue resembling the infamous "The Roar's" that made the old Chicago Stadium famous. A Blackhawks ticket not only brings you close to all the action but will also bring you back to the "Madhouse on Madison. " You can also enjoy all the fun before the regular season starts off by seeing the future of Chicago hockey with Blackhawks preseason tickets. The games begin in September and if you want to catch the Hawks live in action then wait no more to get Chicago Blackhawks game tickets. Our process for purchasing cheap Chicago Blackhawks tickets is simple and fast. There are so many online ticketing sites, that it can be hard for customers to find the right place to buy Chicago Blackhawks tickets at the cheapest price. At ScoreBig we think of our customers first and foremost. We offer daily deals for Chicago Blackhawks events, so our customers can get the best seats for the best prices. ScoreBig will always go above and beyond to offer the cheapest Chicago Blackhawks tickets on the market. The Chicago Blackhawks schedule above, displays all available events for 2019 and 2020. Once you find the event that you would like to go to, click the red “Get Tickets” button. It is located on the right-hand side of the event listing, it will take you to an Chicago Blackhawks event ticket page. ScoreBig's event ticket page will display all available Chicago Blackhawks tickets for that event. On the event ticket page to help with your search for the right Chicago Blackhawks tickets, use the filters at the top to select quantity, price range, and more. There is also an interactive seating chart so you can pick where you want to sit. When you are ready to buy a ticket, click on the listing, and you will be directed to ScoreBig's checkout page. Upon completion of the information fields, your order will be processed and your Chicago Blackhawks tickets will be delivered via email, mail, or to your mobile device. What makes ScoreBig’s site stand out from the rest? We are constantly analyzing our competitors to improve our site, service, and prices. ScoreBig.com employees strive to offer the best process and experience to buy cheap Chicago Blackhawks tickets. Our goal is to get you the best seats to Chicago Blackhawks events. We offer daily discounts on our site and for special promotions check out our newsletter. If there are no Chicago Blackhawks events currently available, you can use our search feature at the top of the page to see a list of all popular events going on near you. No matter your price point, we have all the best deals and discounts on Chicago Blackhawks tickets. For more information on prices of Chicago Blackhawks tickets and the schedule for Chicago Blackhawks , check out our listings above. The last thing you want to find out is when the Chicago Blackhawks event you wanted to go to is sold-out. Don’t worry in many cases ScoreBig has affordable tickets to sold out events. We sell tickets from GA all the way to premium seating and parking. Skip the scalpers in the parking lot and get your tickets online from top Chicago Blackhawks ticket brokers. We get you in all events, buy your Chicago Blackhawks tickets here from a brand that many trust and rely on for all their ticketing needs. ScoreBig offers a 100% money-back guarantee. If you have been in search of cheap tickets for Chicago Blackhawks , ScoreBig by far is the best option. That’s why ScoreBig has more loyal customers than any other ticketing site. 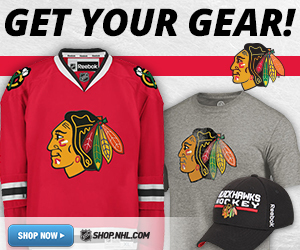 Shop at ScoreBig for safe and secure Chicago Blackhawks event tickets.